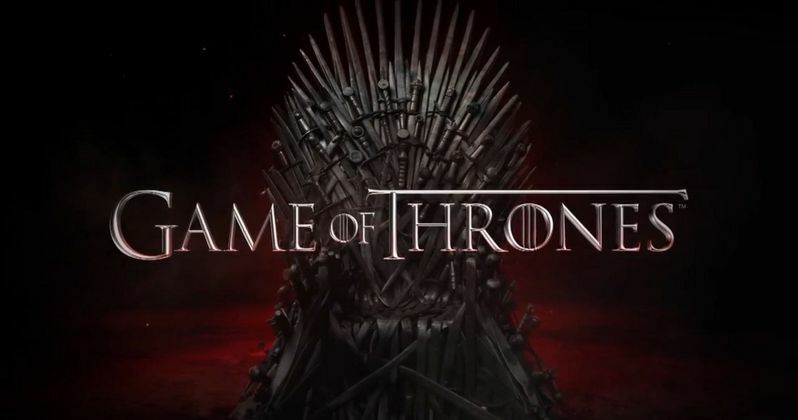 If you didn't watch last night's Game of Thrones season finale "Mother's Mercy", there will be tons of major SPOILERS below, so be sure to read on at your own risk. Game of Thrones Season 5 ended tonight with a shocking season finale that featured a number of surprising deaths and ambiguous moments that have fans wondering how these events will alter the future of the show. One of the cast members who met their maker tonight spoke with Entertainment Weekly to shed more light on tonight's events. This is your last chance to avoid SPOILERS, so if you're still with us, read on below, and you can check out our full recap as well. "Mother's Mercy" saw characters such as Selyse Baratheon (Tara Fitzgerald), Myrcella Lannister (Nell Tiger Free), Myranda (Charlotte Hope), Meryn Trant (Ian Beattie) and Stannis Baratheon (Stephen Dillane) meet their maker, but the death everyone will be talking about is Jon Snow (Kit Harington). Of course, Jon Snow did die in George R.R. Martin's last book, so it wasn't a shock to those familiar with the books, but it does make fans wonder how this alters the future of the show. Some have speculated if there is a way he could be resurrected for Season 6, but, as far as Kit Harington knows, Jon Snow is dead, and he is not coming back. Here's what he said about how series creators David Benioff and D.B. Weiss broke the news to him, and addressing rumors that he was receiving a pay raise for the next season. "This is my understanding of it. I had a sit-down with Dan and David, we did the Tony Soprano walk [letting an actor know they're being whacked]. And they said, "Look, you're gone, it's done." And as far as the salary thing goes, that angered me when that story came out. I don't know where it came from, but it was inaccurate in many ways. It's going to put questions into your head and into fans' heads that things are not what they are. Quite honestly, I have never been told the future of things in this show, but this is the one time I have. They sat me down and said, 'This is how it is.' If anything in the future is not like that, then I don't know about it - it's only in David and Dan and George's heads. But I've been told I'm dead. I'm dead. I'm not coming back next season. So that's all I can tell you, really." He added that he knew his death was happening this season, but he didn't know it would be the final shot of the season. "Like every season, you read something in the script and go, 'Oh f-k.' I kind of knew it was coming. I didn't read [George R.R. Martin's novel] A Dance with Dragons. But I read the other books and I had heard this is what happens. So I had an inkling it should be this season. I didn't realize it would be the final shot of the season and that made it extra special. It's always kind of nice really when you're the last thing that happens in that episode. I dunno, I loved it. I loved how they brought Olly in to be the person who kills me. I love how the storyline with Thorne was wrapped up. I think it was really well crafted. It felt like the right way for it to happen." Jon Snow died at the hands of his own men, with Alliser Thorne (Owen Teale) leading a contingency of Night's Watch brothers to lure him into a trap, while they took turns stabbing him to death. The actor revealed that Jon Snow's death was largely his own fault. "There's a huge amount of fault. He hasn't paid attention to the people around him. He's only looked at the big picture this season. His major fault is a bit like Ned's in that when trying to do the right thing he wasn't observing the people around him. He had blinders on. All he could really see is this impending doom by the White Walkers and doing things for the greater good, and what he was missing was Olly and [Ser Alliser] Thorne and some of the men around him. He wasn't seeing their discontent and dealing with the smaller issues. And because of that, he's served justice. Olly puts the last dagger in him. In that moment i think he realizes that he didn't look after his kin, this young man, and let him down." One of the biggest reasons why Snow's death came as such a surprise is because it means that he will never figure out who his mother is, which has been one of the biggest mysteries swirling around both the books and the show. Kit Harington revealed that Jon never learning his mother's identity is "heartbreaking." "Yeah, but we have to go by what Thrones does. And Thrones treats drama as real life. And people die and don't accomplish what we think they're meant to in real life. And I think that's one of the powerful things about Thrones. The major loss with Jon's through-line is he never finds out who his mother is and that's the heartbreaking thing for me." What do you think about Game of Thrones killing off Jon Snow? Despite the actor insisting that he won't be back, do you think there's a chance we may see Jon Snow again? Chime in with your thoughts below.